Newstalk ZB has just reported that Spark's unlimited data plan has been slashed to $79.95 a month. If they've allowed for a few gigs of tethering, pretty damn attractive. And I guess attractive to mobile-only users even if not. Great to see a new round of mobile data aggression going down. Speed reduced after 22GB, no hotspots or tethering. Well I'm disappointed, this no hotspot thing is just a pain. I only hotspot once in a while but removing the option to do it is dumb. If this is their answer to 2degrees $55 for 10 gigs then it's not a win from me. Yes, it's a bit of a dodgy definition of "unlimited" too. ComCom, start your engines. jmosen: Yes, it's a bit of a dodgy definition of "unlimited" too. ComCom, start your engines. it doesn't say unlimited high speed data so i dont see why it could be considered dodgy. Unlimited but then its throttled after 22GB, Well that to me sounds limited. 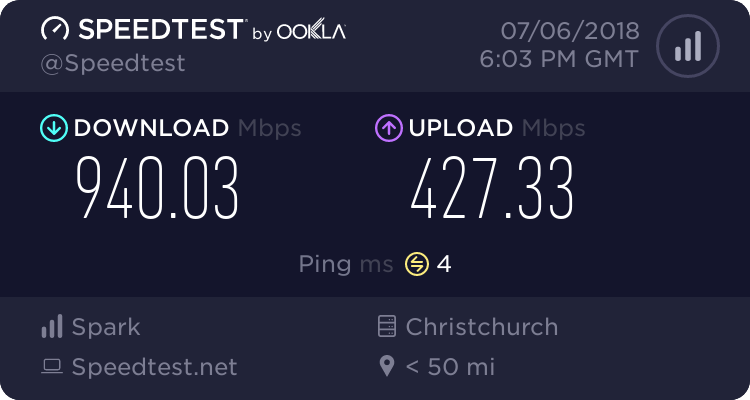 It doesn't state the speeds it will be reduced to, so effectively you could still have access but at an extremely degraded speed. Probably to the tune of VF Broadband a few years ago, Dial up! The new Limited UNLIMITED plan! tripp: Well I'm disappointed, this no hotspot thing is just a pain. I only hotspot once in a while but removing the option to do it is dumb. If it's not a txt or phone call I hotspot to my tablet all the time. Given the choice who wouldn't? Is cheaper mobile data the reason the wireless landline option I was considering at Foxton (only 4G 700 available) is no longer available? I wouldn't mind a plan where speed was halved but the data cap doubled. No tethering is a deal breaker to me as it removes something I use when on holiday. Tethering the laptop. How can the plan tell if it's using tethering? Can some sort of spoofing be used to hide the fact you are tethering? This plan is pretty damn disappointing once you get past the headline and see the details. Bordering on a joke really, to say "Unlimited" when there are limitations on tethering and at 22Gb for high speed. Usage and volume rather than packet content? Looks like they have no idea and just say it's prohibited? I need occasional use of tethering and, between phone and tethered use, I would never use more than 8Gb. You'd think they would be able to offer something suitable for around $60-$70, but it seems like they are still have quite a pedestrian offering at that price point. Skinny Direct also cut their unlimited plan to $79/mo. People will however complain about the little things still. In Asia unlimited mobile data is quite common. They generally allow hotspots but they throttle it so you can't stream video etc but still browse the web etc. I think this would be an acceptable compromise. The little things are called "mobile phone screens". Even on a small 8" tablet the onscreen keyboard is bigger than my phone's total screen. Eyesight and finger size would make even 22GB an unlikely target. Paying $20 less for only 4GB +1bonus unrestricted doesn't feel like a bargain. It's a deal killer for me.